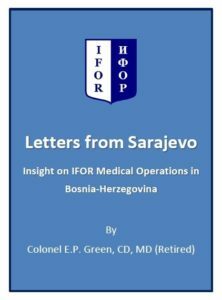 The letters provide an overview of the multi-national military medical organization in support of NATO operations in Bosnia-Herzegovina from a Canadian perspective. and excellent insight on the challenges of delivering medical support in multi-national theatre of operations. Click here to read. The Operational Art : Canadian Perspectives : Health Service Support , Kingston ON, Canadian Defence Academy Press 2006, ISBN 0-662-44241-5. 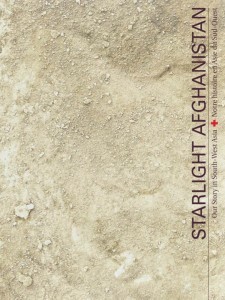 This is the third volume in The Operational Art series published by the Canadian Defence Academy Press. The purpose of these volumes is to offer perspectives on distinct Canadian approaches to the operational art, based on our national and military cultures and historical experience. This volume articulates the nature of health service support, depicts and interprets various concepts of health service support, and examines Health Service Support (HSS) doctrinal concepts in a Canadian context at the operational level. It aims to contribute to the debate on how HSS can be transformed to meet the challenges of current and future security environment. Royal Canadian Medical Service Association shared a post. Royal Canadian Medical Service Association shared a link. One sleepless night during a tour in Afghanistan became the turning point Captain Meghan Joiner needed to make her unfulfilled childhood dream of being a medical doctor become a reality. 33 and 35 Field Ambulances in action under tactical condition with 36th Territorial Battailon Group at Aldershot in Nova-Scotia. The picture is a simulation under a real redlight condition.